Howdy! 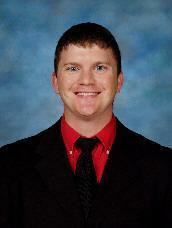 My name is Korey Kennedy and I am the new principal at Savoy Elementary School. I am excited about helping our students succeed this year both academically and in their character growth. Our goal as a staff is to help every student excel not only in math, reading, writing, and science, but also in making good choices. Our core belief is that we can make a positive, life-changing difference for every child through education. This belief is what motivates us to innovate, improve, and excel in teaching the children of our community. I am a graduate of Cooper High School in Abilene, TX. I earned my undergraduate degree in math from Texas A&M University, where I also participated in Air Force ROTC and marched in the Fightin’ Texas Aggie Band. I then earned a Master’s of Divinity from Southwestern Baptist Theological Seminary in Ft. Worth and became a chaplain in the Air Force Reserve. I came to Savoy in 2011 and taught math at Savoy High School, during which time I earned a Master’s of Education Administration. I’m married to the love of my life, Macie, and we have three kids. I love the community of Savoy and am honored to serve in the education of its children. Go Cardinals!